There will be few tournaments in recent memory that will have the kind of pressure than what Canada will face this holiday season. Canada has not won gold at the World Junior Championships since 2009 when they were led by the late Pat Quinn. They also have been shut out of the medals all together over the past two tournaments, something that is virtually unheard of for Hockey Canada. To add to the pressure it will be played in Canada’s backyard and in the major media markets of Toronto and Montreal. One of the areas that many have pointed to as a factor in Canada’s fall from grace has been the goaltending. Not necessarily the reason for Canada being kept off the podium, but not gold-medal calibre netminding as they have had in years past. Those like Carey Price, Roberto Luongo, Jose Theodore or Manny Legace were far and above the best goaltenders in their respective tournaments. However as with all aspects, the goaltending position has become much more global and most nations have their own top tier netminding, which wasn’t necessarily the case in years past. The tournament has seen non-Canadian goaltenders take centre stage over the past decade and assert themselves as the best in the tournament, much to the chagrin of Canadians. John Gibson, Jack Campbell, Tuukka Rask and Al Montoya among others have proven that elite goaltending is not reserved for those that wear the maple leaf. This year’s tournament will be no different as there will be many goaltenders tough to beat including last year’s tournament top goaltender Juuse Saros of Finland. Canada is hoping that the tables will turn this year and it will be the return to dominance of Canadian backstops. For the second straight year Hockey Canada named only two goaltenders to camp and avoided any competition for the two spots, handing them to Zach Fucale and Eric Comrie. Despite Fucale’s struggles this season in Halifax, it will be his job to lose. He has a year of experience already as he was between the pipes for Canada at the World Juniors and will be no doubt itching at a shot at redemption. Not that there was much question he would be returning to the squad this year, but he erased some doubts for Hockey Canada with a stellar 40 save performance at the CHL Super Series in a 3-1 QMJHL win. 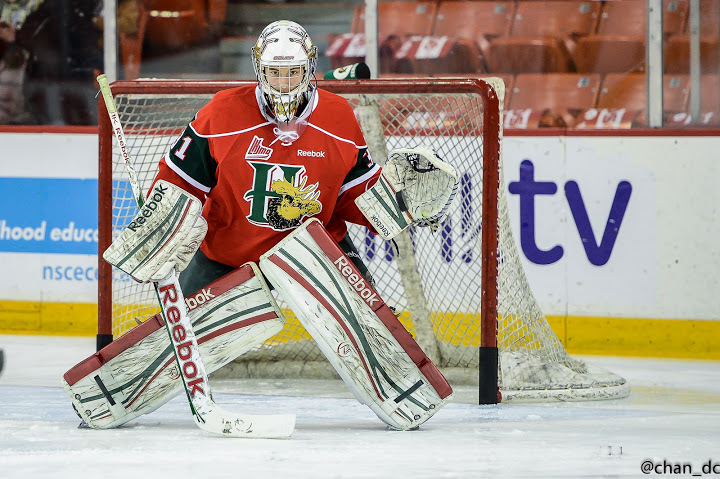 “Last year will serve as a motivator for this year,” said Fucale, the only selection-camp player trotted out for Monday’s news conference. “What I’m looking forward to is good (camp) preparation to get ready. Comrie has had the better season and clearly the better numbers at least at this point. 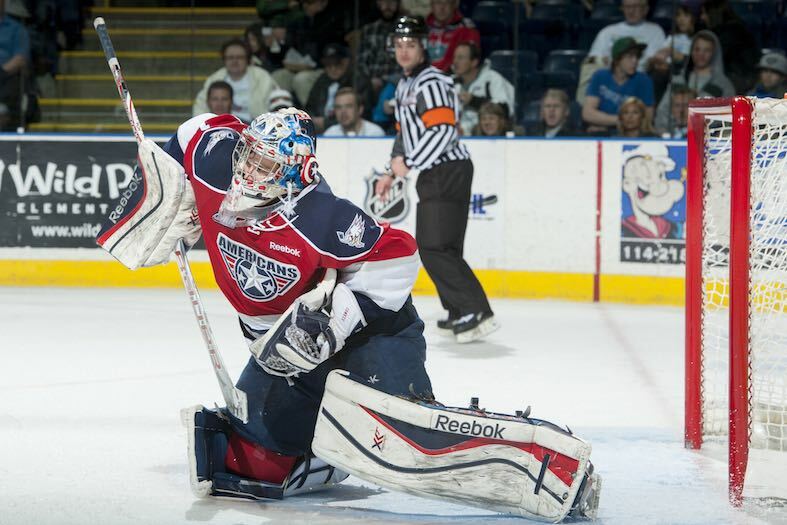 He also has some international experience and was the backup to Fucale at the 2013 Ivan Hlinka Memorial Tournament. While Fucale may have the inside edge going into camp, if Comrie outplays him over the next few weeks, don’t be surprised if it’s Fucale backing up Comrie to start the tournament. Fucale and Comrie have the talent, the pedigree and experience to lead Canada to gold at this year’s World Junior Championships; however that has been a story told many times in early December before. Playing in front of a home crowd should provide an extra jolt and Hockey Canada is hopeful this will be the year Canada, and in particular it’s goaltending, silences many of their doubters.